The time has come to put into put a “stake in the poop” and apply all that I have learned about digital marketing, and especially social media. I can’t wait to discover the haystacks of needles, use social capital and motivate healthcare providers to find the power in combined brands. I believe it is possible to drive brand value for medical devices and diagnostics using modern marketing techniques. I vow to continue blogging to highlight learnings and great resources I stumble upon. Feel free to ask me questions about what’s happening as you begin to stumble upon the Third Eye Retroscope and its contributions to colonoscopy and cancer detection. In this season of giving thanks for all the blessings in my life, I want to express my gratitude for the support I have received in the past two years. To Lisa for getting 3WD started and being a great mentor and friend. 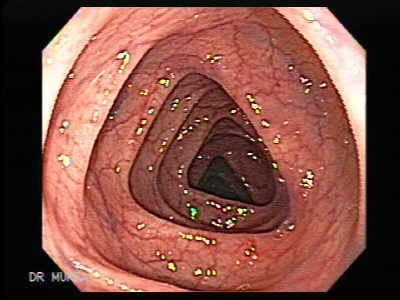 To Betsy for her most recent colonoscopy post (looks like I get to use the image after all). To my social media gurus for keeping me ahead of the curve. To my incredible network of friends and family maintained on LinkedIn and Facebook. ©2011 eGold Solutions. All rights reserved.